What is Early Warning Report? It's the Big Picture of what's happening globally and how you can stay prepared! You are not facing global uncertainty alone. There is help! Arm yourself with foresight that only Early Warning Report—EWR—can provide. Mikkel Thorup of the Expat Money Show, focuses on helping you live an international life by looking at problems through a global lens. EWR brings you insights of the same kind, on economic and financial matters, international political blunders and military disasters that affect us so much. 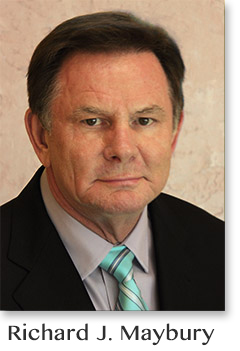 Since 1991, Richard Maybury, editor of Early Warning Report, has guided readers—in simple, fast-reading, direct language—toward ways to protect their wealth against the political, military, and financial chaos governments are causing around the world. 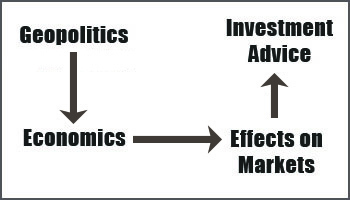 The performance of your investments is determined mostly by the performance of the economy, and the performance of the economy is determined by law and politics. To know how your investments will behave you must know how governments will behave. Often citing historical parallels, EWR doesn't just explain what is happening to you, it suggests ways to protect your savings and earn profits. We challenge you to find any publication with a better track record. Between 1989 and 2007, geopolitics and military events were dominant, offering huge profits. From 2007 to 2017, economics was the focus. Now Mr. Maybury forecasts that geopolitics and military events have returned to center stage. "We've entered a new ground floor opportunity for big profits," he reports. These revelations and insights are available only in U.S. & World Early Warning Report. Take advantage of this limited time offer, order today. Join the exclusive group of well-informed readers who are highly skeptical of the analysis they receive from the mainstream media. Inside the U.S. delivered electronically plus Postal Service. Outside the U.S. delivered electronically only. This saves you $121 off the subscription price of $300. All prices subject to change in response to Federal Reserve Policy.